Typical Weekend Trip:A chance to spend some time in the countryside and explore the traditional nomadic lifestyle. With its lyrical landscapes and ancient city centres, Morocco is one of North Africa’s most vibrant countries and is an exciting destination for any group looking to volunteer with Projects Abroad. 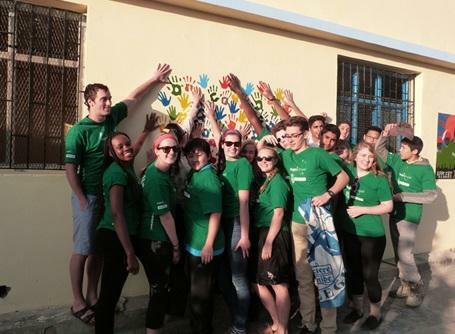 Whether it’s helping and teaching the children in a local school, or playing music and games with children in local care centres, your group will be welcomed into the community and you’ll get to experience the true side of Morocco behind the tourist hotspots. Situated on the Atlantic and Mediterranean coast on the edge of the Sahara Desert, Morocco is an ancient trading hub that combines the diverse landscapes of North Africa with the Arabic and Islamic influences from the Middle East and the Mediterranean influences to the north. Its distinct culture is a blend of Arab, indigenous Berber, Sub-Saharan African, and European influences. Morocco gained its unique culture through centuries of trading due to its location as a crossing-point for travellers, migrants and traders from all over Africa, Europe and the East. Such diverse influences have contributed to an amazing richness and complexity in cultural life, from art to architecture, music and cuisine. Aside from Spain and France, Morocco is the only other country to have coasts on both the Atlantic Ocean and the Mediterranean Sea. Such ideal locations for trading have influenced the growth of the large coastal towns and cities including Casablanca, Agadir and Rabat. Further inland lie the majestic Atlas Mountain Range with the equally enticing towns of Fés, Marrakesh and Meknès situated on its north-western edge. To escape the heat of the midday sun, many Moroccan cities incorporate maze-like alleys full of stalls selling a rich variety of colourful products that these markets are famous for, including spices, kilims (rugs), metal or wooden ornaments or clothes. These enticing markets are situated alongside modern districts with wide boulevards, Hispano-Moorish architecture and high-rise buildings. In the interior you will find the snowy Atlas Mountains and communities living in the desert beyond, whose way of life has remained unchanged for generations. 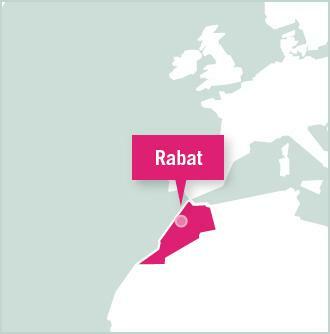 Projects Abroad is based in the Morocco’s political capital of Rabat on the Atlantic coast. This ancient imperial city is modernising rapidly and in 2012 was listed as a World Heritage Site by UNESCO. With fewer tourists here than in other large Moroccan cities, volunteers will find that local people are eager to engage with them and exchange views. Young Moroccans in particular are eager to interact with their Western counterparts. As a group, you will stay in an apartment or hostel within the local community. This gives you all the chance to experience the true side of Morocco that most tourists don’t get to see, as well as the chance to meet and socialise with Moroccans away from the bustling market places. 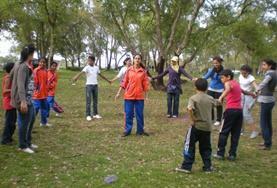 In the evenings and at the weekends, groups will have free time to do with as they please. Whether it’s exploring and soaking up the atmosphere of Rabat’s bustling medina or relaxing under the sun on the sandy beaches, your group won’t ever have trouble finding something to do. The whitewashed city of Rabat has many attractions, especially its elegant mosques, enchanting palaces, tranquil parks and gardens, its sandy beach (stretching all the way to Casablanca), and its famous blue and white Kasbah, which is well worth exploring. At the weekends it is possible for a group to integrate a trip into their project. 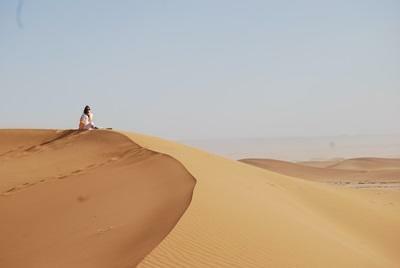 If your group is looking for more exciting activities, it’s easy to organize a trip into the Sahara, where you can all enjoy scenery straight from a film-set, as Tuaregs in flowing blue robes ride their camels across seemingly endless sand-dunes. Other activities include snowboarding, skiing or hiking in the Atlas Mountains, white-water rafting in the foothills or scuba-diving on the Atlantic coast. Trips to other towns and cities is also possible, all of which boast their own markets, architecture, nightlife and history. Living and working in Morocco may be a challenge, but with so much to learn and so many magical sights to see, it's a challenge you'll all be glad you accepted.